President Medvedev has ordered the suspension of the implementation of the government resolution to construct a highway through the Khimki Forest in the Moscow Region, which was fiercely opposed by environmentalists. 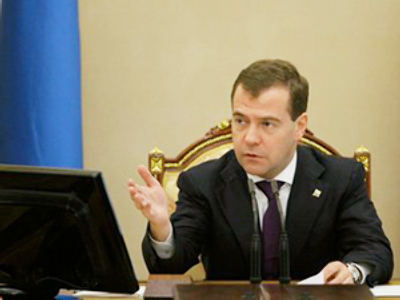 Dmitry Medvedev announced the decision in his video blog posted on Thursday. “Even though the government passed a special decision on the construction, and even though our judicial system handled it and passed judgments on the issue, our people, representatives of political parties ranging from the ruling United Russia to opposition ones, public associations and expert circles are demanding an additional assessment," the president said, as cited by Interfax. “Given such a number of appeals, I have made a decision to instruct the government to suspend the implementation of its resolution to construct the motorway and to carry out additional public and expert discussions,” Medvedev stated. There have been some already, he went on, but new discussions could help to resolve the dispute. Following the president’s statement, Prime Minister Vladimir Putin – who is also a leader of the majority Untied Russia faction – stressed that the motorway between the two largest Russian cities should still be built, though taking environmentalists' concerns in consideration, as it is necessary for economic development. "It is clear that a highway should be built, as well as other facilities. Houses should be built. The transport problems exist in Moscow and other megapolises are common knowledge," the premier told journalists, writes Itar-Tass. He noted that, "There are always some problems between development and nature conservation." The government, he added, always pays attention to environmental protection issues. He recalled that, because of ecological concerns, it was decided to lay an oil pipeline near Lake Baikal further from the lake than initially planned. Olympic facilities and roads in Sochi and the Nord Stream gas pipeline were also discussed with ecologists and a compromise was found. Taking ecological problems into consideration meets the logic and the practice of the government's work in the past few years, Putin said, adding that in case with the Khimki Forest, it is also “normal” and “right”. Earlier, on November 5, 2009, Putin signed decree Ã¢â€žâ€“ 1642 converting the Khimki Forest to land for transport, which made it possible to start the construction works. Earlier on Thursday, the ruling United Russia party appealed to Medvedev to halt the building of the motorway. The move has been welcomed by activists and ecologists. “We have asked President Dmitry Medvedev to examine the situation surrounding the construction of the highway through the Khimki Forest,” said Boris Gryzlov, the chair of the party’s Supreme Council and State Duma Speaker, cited by the faction’s official website. The row between the authorities and environmental activists over the planned construction of the highway from Moscow to St Petersburg has been going on for several months now. The major stumbling block is the Khimki Forest north of the capital, which is in danger as the new road will go directly through it. With the Russian majority party joining the dispute, activists got hope that their voice was finally heard and the forest may be preserved. “Therefore, we believe it is necessary to carefully study the issue and then, based on the decision made, either change the route of the highway or continue the construction, taking into account a deeper analysis of this question,” he said. “We should distance ourselves from political predilections. An unbiased opinion is required,” he said as cited by Itar-Tass. Giving more room for environmentalists’ optimism, the Moscow administration backs the idea of re-routing the road. The motorway could be built through another area in the north of the capital, city district prefect and former environmental watchdog official Oleg Mitvol told RIA Novosti. He said he proposed the idea to Moscow Mayor Yury Luzhkov, who supported it. According to Mitvol, the mayor has given instructions to draft a proposal to the federal government on diverting the disputed road. Yevgenia Chirikova, head of the movement campaigning for protection of the forest, has praised the United Russia’s appeal to the president. “I really hope that the construction plan will be revised. As of today, I believe it is possible to restore the Khimki Forest: it has been damaged but the damages are not lethal,” she told RIA Novosti. Aleksey Knizhnikov of the WWF shares the same view. If the logging was stopped right now, the forest would be restored in a decade, he told Interfax. The construction of the new toll highway is due to start in October, but preparation works started several weeks ago and logging has already begun. Russia’s head of Greenpeace, Ivan Blokov, also welcomed the United Russia decision. "Better late than never," he told Interfax. "It is just incomprehensible how the political party with such a large staff grasped the situation so late. Still, we welcome that," he said. In their attempts to knock on government’s door, the activists have been rather persistent, staging protest rallies and building barricades to stop loggers and construction vehicles. Some extremist forest defenders even went as far as organizing an attack on the Khimki administration building. On July 28, a group of up to 300 youngsters threw empty bottles and stones at the building, breaking windows and writing graffiti slogans on the walls calling to protect the Khimki Forest. As a result, several people were detained. The forest is home to wild animals, including foxes, elks and wild boars, as well as a number of species of insects and plants, some of which are preserved in the Red List. The idea to build a new motorway connecting Moscow and Russia’s northern capital, St. Petersburg, has long been floated. The existing narrow, and certainly not of the highest quality, thoroughfare has been a nightmare for anyone who has had to use it. Driving in the rush-hour or at weekends – when people flock out of the busy city to enjoy a bit of freedom and fresh air in the countryside – is a true challenge. The road also connects Moscow with Sheremetyevo Airport, which presents a headache for travelers, who have to drive to the airport several hours ahead of the flight to avoid getting stuck in heavy traffic and risk missing their flight.